March is women’s history month, an annually declared month that highlights the contributions of women past and present. MobyDish catering is proud to offer women’s month catering and celebrate all the female chefs and female restaurant owners that make MobyDish great. Sarah Schneider, owner and founder of Egg Shop, is a first time restaurateur who had a vision for bringing the coveted egg sandwich and innovative egg dishes to the forefront of the culinary world. Through Egg Shop’s creative menu, Schneider gives egg lovers the option to be both healthy and indulgent, while showing the diversity of the egg as a stand-alone ingredient. Originally from sunny San Diego, Schneider moved to New York in 2001, having taken a vacation that turned into a permanent stay. Schneider quickly discovered her love of fashion, building a 14-year career in fashion wholesale working with top denim brands like AG, Levis, PRPS, and True Religion. When Schneider met her now husband, and co-founder of Egg Shop, Demetri Makoulis in 2005, the couple noticed a gap in the market for a restaurant dedicated to the art of the egg sandwich and all things egg related. 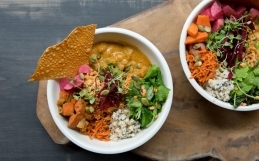 Together they conceived the concept behind Egg Shop, working to develop a menu of sustainable, healthy, and organic egg-based sandwiches, bowls and dishes. 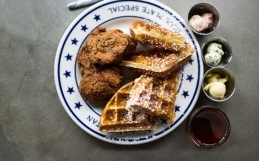 Alongside Makoulis and head chef Nick Korbee, Schneider has developed Egg Shop into one of the most coveted brunch spots in New York City with two locations in Williamsburg and Nolita. Going through more than 400 eggs at each location per day, Schneider hopes to expand the Egg Shop concept further, and create a truly memorable experience for all who walk through Egg Shop’s doors. Chef Einat Admony has opened 13 restaurants during her career. She is the reigning queen of the Israeli food movement in New York, spending the last 20 years introducing and constantly redefining Israeli cuisine to the New York City restaurant scene. She and her husband, Stefan Nafziger, started out in 2005 with the first branch of their falafel stand, Taim, in the West Village. Admony often talks about how she used to feel embarrassed to be an Israeli in New York making falafel, but her plan was to move from simple cuisine to something more complicated, and by 2010, they had opened Balaboosta, her ode to fine Israeli dining. Now there are four branches of Taim! “I would never have believed that Israeli food is where it is now,” she said. 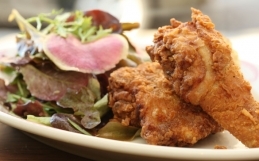 “When I opened up some of my first restaurants, it was the first time anyone was trying any of these foods. It was the first time they were trying labane, or tahini or any of these dishes. Now everyone uses these ingredients. Michelle Gauthier is the Founder of Mulberry & Vine and has lived in Tribeca since 2001. She lives with her 2 sons, JW and Rome, and their 2 cats. Before Mulberry and Vine, she owned a women’s clothing store in New Orleans then owned a furniture store in the West Village. Seems like entrepreneurship has always been a part of her! 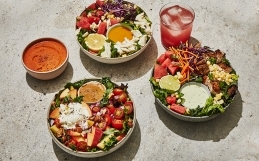 When Michelle Gauthier opened Mulberry & Vine, in 2013, so-called fine-casual restaurant chains like Sweetgreen and Dig Inn had not yet blanketed New York City in grain bowls and kale-Caesar salads. Gauthier wished that there were somewhere other than the salad bar at Whole Foods to rely on for a quick, healthy meal. She opened Mulberry & Vine’s first location in her neighborhood, followed by two additional branches farther uptown, and the rest is history! Chloe Coscarelli has been vegan since 2004–a time when veggie burgers were still feared by the general public. Since then, she has been at the forefront of the vegan revolution: Chloe believes that vegan can still mean mouthwatering foods, and she practices what she preaches. She became the first vegan to win a culinary competition on television and was named to the 2017 Class of 30 Under 30 by Forbes. 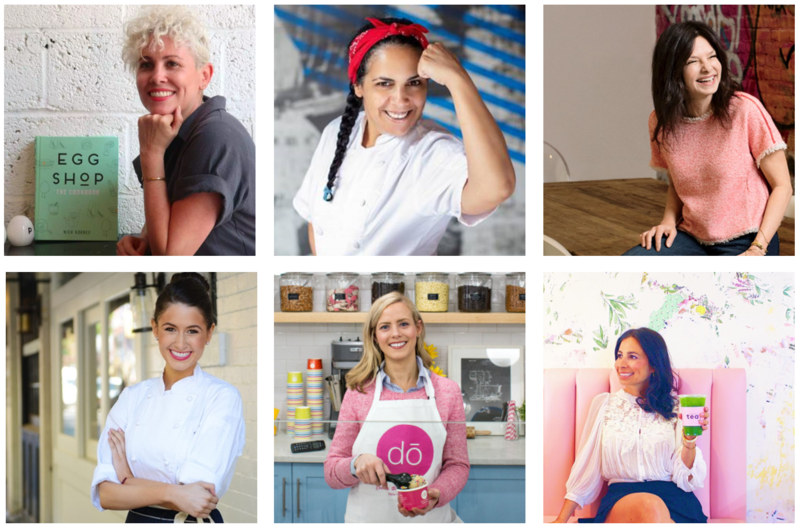 Kristen Tomlan opened DŌ, a raw cookie-dough store in New York City in January, in hopes that people would be curious enough about her gourmet, nostalgic desserts to come in for a taste. She was shocked when, during the first week of business, two-hour lines had formed around the block. Tomlan began to mention to coworkers her idea for a cookie-dough shop. 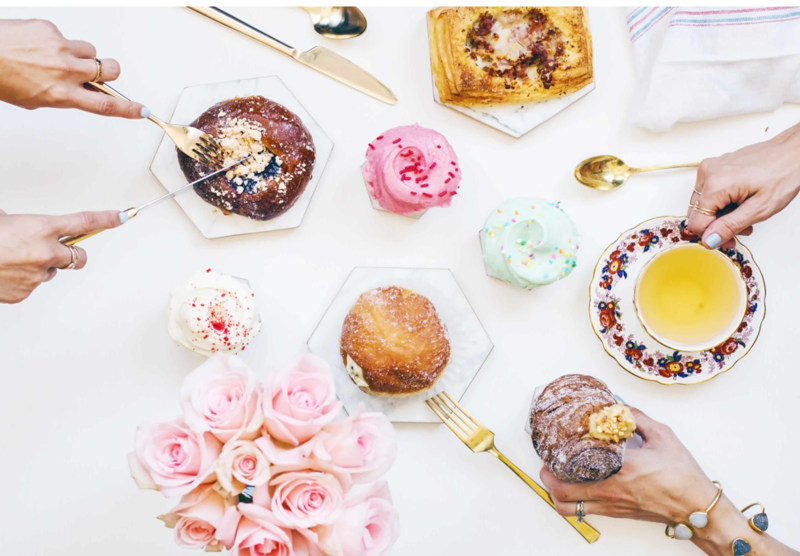 “I knew nothing about starting a business, but I knew how to bake and I knew about branding and design,” she says, and created preliminary plans and a poppy logo for her dream business. She tested recipes in her tiny 450-sq.-ft. Brooklyn apartment, got a food handler’s license, moved in two industrial freezers and launched an online business, selling tubs of dough in classic base flavors like chocolate chip and sugar cookie. “I’d come home from work and make dough until 4 a.m. every night,” she says. Rossanna Figuera is Co-Founder and Ambassador of Good Things at Wafels & Dinges, a gourmet food concept that has been credited with pioneering the food truck revolution in New York City. Wafels & Dinges is about giving people the best moment of their day while improving local communities with its iconic, award-winning yellow food trucks, which are ranked Best Food Truck in NY by Zagat and have been consistently voted Best Food Truck in America. Rossanna is proud to have crafted a fulfilling, successful, non-traditional career path. She has been a Diplomat to the United Nations, a banker in Wall Street, an executive recruiter finding and placing talent for her clients around the world, and an effective executive coach who is able to draw from her own experience in order to help others thrive. She enjoys public speaking and sharing her learnings on the good, the bad and the ugly of entrepreneurship. Rossanna was named a World Economic Forum’s Young Global Leader in 2010. Ashley Jaffe is the Co Founder of Blank Slate Coffee + Kitchen which opened in November 2015. She envisioned Blank Slate to be a place where guests could come to work, meet friends, relax; be the go-to spot for anything and everything. Hence the name, Blank Slate- a place for growth, creativity and unlimited possibilities, which is truly what this café has created for Ashley and her husband. Unlike most restaurant owners, Ashley didn’t grow up in the food industry and she doesn’t have a culinary background. Ashley worked in Public Relations for 10 years, specifically covering celebrities and entertainment, but fell in love with food and beverage after landing on The Food Network account at her firm. After dreaming up this vision for an all-day café concept, where people could “just come in and hang” (a la Central Perk in Friends), Ashley decided to quit her job and open Blank Slate. Ashley is now the key decision maker for the business and runs the day to day operations. She admits that she has run into one or two issues being a female business owner (mainly men asking her if she needs to consult with her husband before making a decision related to the business, which she laughs off as “silly”) but overall she has been extremely lucky with the support she has received, especially from other women, some of whom own their own business or come in specifically because it is a female-run business. For Ashley, it’s the relationships that she’s cultivated that have made the business so rewarding for her and that have also made the business so successful. Every business and every entrepreneur has an interesting journey and we are truly inspired by all “her”-stories that we shared here. Support these boss ladies and order office catering from women who own restaurants in NYC.